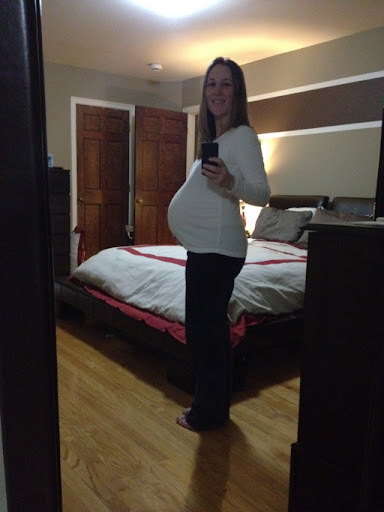 Our SI journey: 28 weeks - Third Trimester! Last Tuesday I hit the 28 week mark. This was a pretty big milestone. 90% of babies born at 28 weeks will be just fine in the care of a good NICU. What a huge relief, although I hope to keep them cooking for several more weeks. I had two appointments last week - one with the specialist and one with the OB. Besides being slightly anemic, everything is going well. The babies were estimated to weigh 2lbs, 4 oz and 2lbs, 5oz. My uterus was measuring 31 weeks and both girls are still head down. We will be doing the hospital tour soon and Taylor will be attending a childbirth prep class for siblings, offered at the hospital. She has a strong desire to be there when the girls are born and my doctors and midwives are very encouraging of this. It's hard to believe that in 2 months or less, the girls will be here. I'm overwhelmed at the thought but so very excited to meet them.